In this episode, we focus on the history of New York’s community gardens, specifically on the Lower East Side. Matt Patterson and Mike Dola talk to author, journalist, and activist Bill Weinberg, as well as Bill DiPaola, one of the founders of the Museum of Reclaimed Urban Space. The mission of MoRUS is to preserve the history of grassroots activism and promote environmentally-sound, community-based urban ecologies. Music: “Lower East Side” by David Peel and “Smoke” by Rafael Archangel. 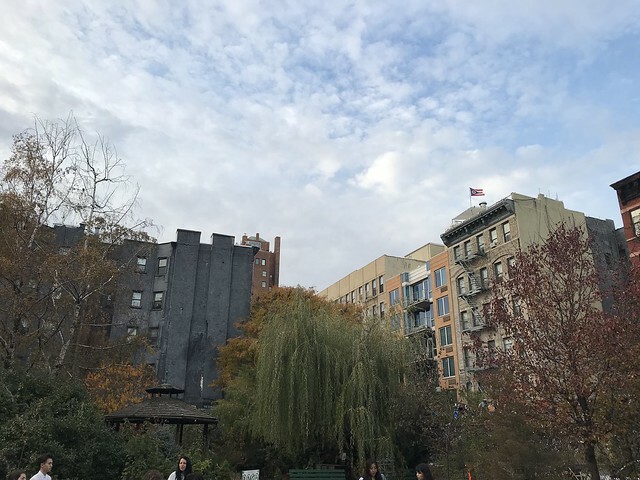 Below are images of La Plaza Cultural, one of the Lower East Side gardens on the MoRUS walking tour. Photography by Mike Dola.